Nurse, 919 CCs of Awesome, Stat! Four years ago Heather and I were planning on moving from our home in Tempe to our new home in Glendale. While we would be closer to family and friends, we would be further from work. We also could not figure out an easy way for us to carpool any longer. So, the decision was made that I would get a motorcycle as they are cheaper to buy and maintain than a car, the insurance is cheaper, and I can use the carpool lane. I purchased a 2000 Honda Nighthawk 750, and for the most part it's been a good four years and 40k miles. However, the time has come to replace my Nighthawk 750, and luckily I was able to replace it with the bike I have been drooling over for the last 3 years or so: The Honda 919. 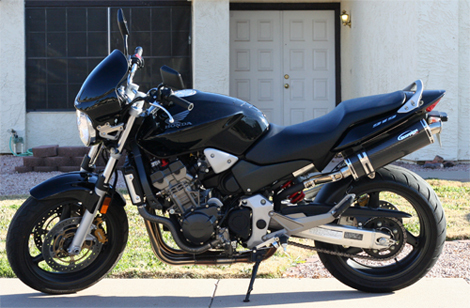 The picture above is of my new 2005 Honda 919. The previous owner performed a few modifications to the bike, and I am happy with most of them. For reference, here is a picture of a stock 919. The 919 is very similar to my previous bike. 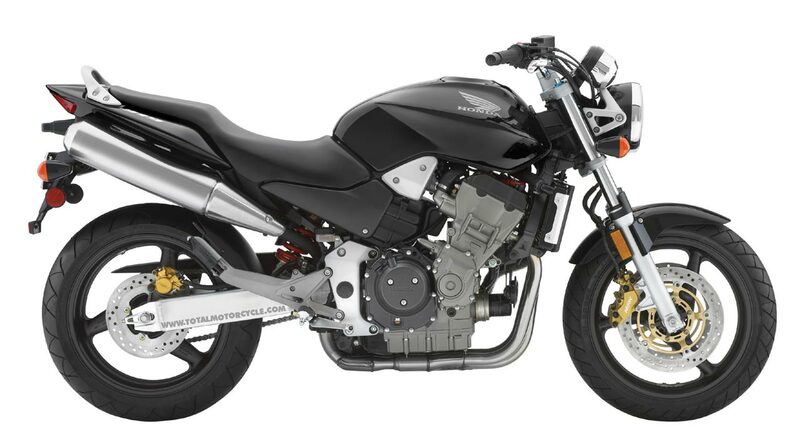 Both have 4-cylinder engines, both are "naked" bikes (no fairings over the engine), and both have you sitting in a fairly upright position. The 919 has a larger engine (919cc vs 750cc), better brakes (dual-disc front and single-disc rear vs single-disc front and drum rear), and better handling. All in all, I am very happy with this upgrade. If you would like to see more pictures, I have uploaded them to Flickr. Four years ago Heather and I were planning on moving from our home in Tempe to our new home in Glendale. While we would be closer to family and friends, we would be further from work. We also could not figure out an easy way for us to carpool any longer. So, the decision was made that I would get a motorcycle as they are cheaper to buy and maintain than a car, the insurance is cheaper, and I can use the carpool lane. I purchased a 2000 Honda Nighthawk 750, and for the most part it's been a good four years and 40k miles. However, the time has come to replace my Nighthawk 750, and luckily I was able to replace it with the bike I have been drooling over for the last 3 years or so: The Honda 919. The picture above is of my new 2005 Honda 919. The previous owner performed a few modifications to the bike, and I am happy with most of them. For reference, here is a picture of a stock 919. The 919 is very similar to my previous bike. 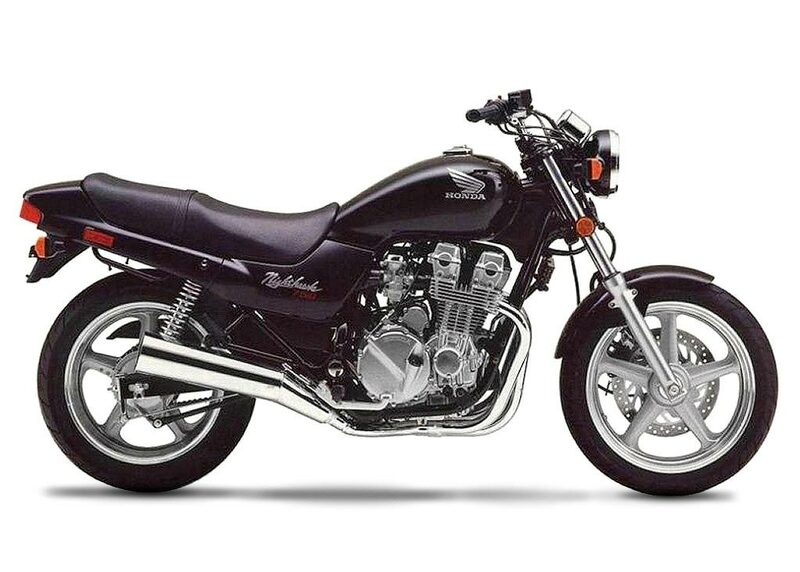 Both have 4-cylinder engines, both are "naked" bikes (no fairings over the engine), and both have you sitting in a fairly upright position. The 919 has a larger engine (919cc vs 750cc), better brakes (dual-disc front and single-disc rear vs single-disc front and drum rear), and better handling. All in all, I am very happy with this upgrade. If you would like to see more pictures, I have uploaded them to Flickr.